With happy thoughts and a sprinkle of fairy dust the Daring Children flew! They did what every child dreams of doing at one point in their lives, they floated weightlessly above their beds and toys, then tempted with the promise of pirates, Indians and adventure to Neverland. So over London they flew, see their home city through new eyes. For those not in the know, Neverland is the second stair on the right, and then straight on till morning. And it certainly was morning as the sun rose on their arrival, as if waiting for the greatest adventure in Neverland to start. 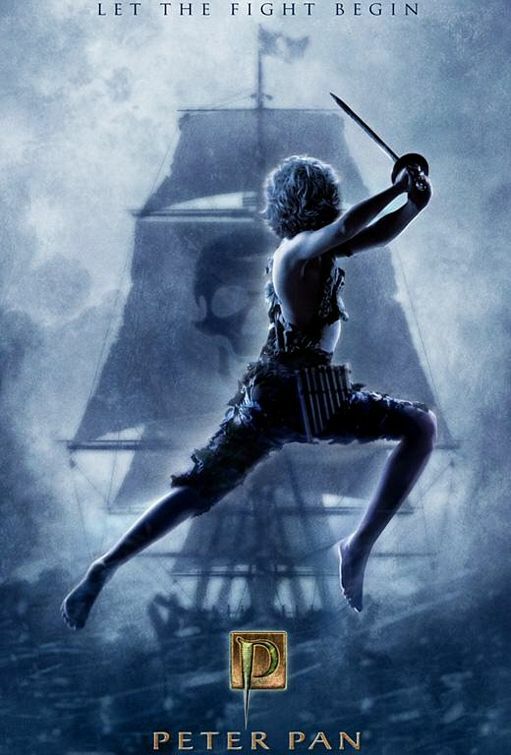 This game is based on Disney's Peter Pan and the 2003 Peter Pan film. Rot okayed the balancing of my game, though I am aware that my first game is likely to have issues, so please bear with it. - DO NOT EDIT YOUR POSTS. Double-post if necessary. Even better, preview your posts before posting. - DO NOT QUOTE EMAILS. Never quote an email from me. Paraphrase, but do not quote. This includes flavour. - Don't strategize at night. No planning, plotting, scheming, strategizing, or any other sort of game-related information-exchanging. - Keep chatting at night to a minimum; you don’t want to wake the fairies. - If you want to vote for someone, type Vote: RedHandedJill. If your vote is not bolded, I WILL NOT COUNT IT! - If you want to change your vote, simply type Unvote: RedHandedJill . Don't forget to bold! If you do not unvote, your next vote will not count. - Be active. If you are going to be gone for more than 72 hours, please post this notice in the thread. If you don't, then you will be replaced. - Follow the HeavenGames CoC at all times. - This game is closed communication. This means you cannot talk outside the thread, unless specifically allowed by your role email. - You are more than welcome to mass claim, however this will be detrimental to the town. "Then ready yourself Peter Pan, for I am Red Handed Jill"
is impeached playing? that'd be awesome. The Lost Boys could hear the wind whistle through the secret hideout. All those who haven't got there actions in please send them in. I have emailed Impeached about taking Vox's place. I'll sign up as a replacement, it's been too long since I last played. GoO! He has revived! Hurrah!!! Lol yeah, he wasnt online for a long time. Then he felt something cold and sharp on his neck. Fear froze him to the spot. Michael Daring, played by Vox Nihili, has been killed. He was the town role-blocker. Thank you Guard of Osiris you are added to the replacement list. Not so bad start at all, Matt is alive, but we lost our roleblocker. Two kills mean either a SK or someone used a 1-shot kill along with the mafia's. Matt are you iron, or do you suspect the doc protected you? no real power-role losses. okay. I know it was an RB, but we're probably looking at a cop, doc, rb (now dead), tracker, watcher, vig(?) and various VTs. it's a vanilla game, so VTs. and then for the mafia: godfather, rb, hitman, goon. does that sound about right to the rest of you guys? also, matt, any reason why you lived? I find Mithril's post disturbing. How do you know that the second kill is one-shot? It could just as easily be a full or overeager vig blindfiring. If either of the kill attempts was from a town source, they should come forward. I don't see why we need Matt to clarify his survival. Better to keep the scum guessing. If this were not the first post of the game I'd consider it worth Mithril's claim. Ditto for CK. Small mistakes, but that's all we need to catch scum with. good point, but I was under the impression that asking why someone didn't die was the logical progression (and traditional progression) from a failed kill. Please explain why giving presumably scum information about how their kill failed helps the town. I don't see why we need Matt to clarify his survival. I disagree: if Matt is town, he'll have no problem telling us why he survived, provided he knows why. If he's iron, that can't harm or favor the scums. If he isn't, then perhaps a doc or Vox' roleblock which was effective. We don't ask full claim. About Mithril's sentence on 1-shot, if he knows something, I think he should tell it. If a townie is responsible for attempt on Matt, speak (and assume you weren't smart). that wasn't my point at all. I was under the impression that that was the standard step to go on to, when a failed kill arose. in the end, it would ahve been best had it been vox who saved matt, as he would have found scum or vig, but he's dead. I concede the point on it helping scum, but it's also helpful to town... if we had our roleblocker. I just kinda failed to realize that that was the reason everyone asked why people lived. mental note for future. I'll answer you when Matt will give his answer. Answering you now with details could help Matt to fakeclaim if he's scum. The only thing I'll say is that the only thing that could hellp scums about this is Matt being the doc. The chance for this to be remains low however. At worst, he'd self-protect during the night. I was informed that I was blocked last night, despite having no action. I'm guessing it was Vox's doing. Nice to know that happens. Helps the town. How do you know that the second kill is one-shot? I want to clarify that they are only assumptions. And I am surprised at the speed you jumped at me. I can claim after Matt posts, I am not asking him to claim, I just want to know if he is willing to tell us why he survived. Even if he refuses I am willing to throw away my role to have something from where to start. Ninja'd. I obviously talked to Mole.